I hear it ticking but I don’t know why. The more it ticked, the more I procrastinated, partied and tried to escape the unsettled reality of my daily existence. 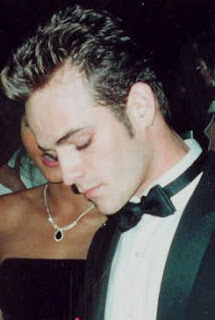 My 20s were chock full of emotional extremes, missteps and excessive drama over relationships and career. Knowing everyone was waiting for me to grow up, but not having any idea where to begin. The buoys I held tightly to through all of this mess were best friends, run-around-with friends, the neighborhood bar where everybody knows your name, and the local Dallas bands that frequented said watering hole. One of those bands was Old 97s. It was the Fall of 1994 when I first saw them at their CD release party for Hitchhike to Rhome at the old Barley House on Henderson. All I knew going in was that they were one of the first bands in this hip, new genre called alt-country, along with Wilco, The Jayhawks and Whiskeytown (Ryan Adams). I was not a regular country fan, so I didn’t know how I would feel about this alt-country business. I must admit, I did not immediately fall in love with their sound. I’d say their early stuff is an acquired taste. But they had an energy about them, mixed with sharp, well-crafted lyrics from Rhett Miller that touched on many of the transitional I-don’t-wanna-grow-up feelings in which I was drowning. I identified with Rhett’s cool awkwardness and struggle with feelings of self-doubt. Soon, I had memorized all the words to their songs and saw them live almost every weekend at small venues around town like the Barley House, the Gingerman, Club Dada, Sons of Hermann Hall and Trees. I couldn’t get enough of them and began to depend on their electric jolt of sound each weekend to get me through the dismal work week ahead. Their live shows were, and still are, like an espresso shot to the soul. Their lyrics awarded me an anthem to make it through a string of failed relationships with Wish the Worst from Hitchhike to Rhome. They kept me on my feet with the addictive dance-worthy tunes Victoria and Doreen from Wreck Your Life. 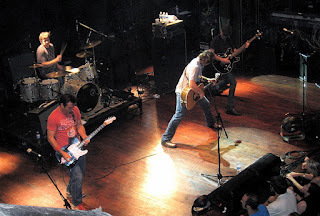 And then, in the Summer of 1997, Old 97s took a step up in the world and recorded their first major label album on Elektra, titled Too Far to Care. 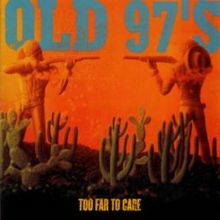 My favorite 97s album, this was the last one to capture their original country-rock vibe, with a slight foreshadowing of the new pop-laden sound that would emerge in their next two albums. Poised on the brink of mainstream success, Too Far to Care felt like a goodbye and sweet kiss on the cheek to the days of small crowds at their shows at local bars and chatting with the band between sets. Bigger days were on the horizon. Around the same time, my little life had taken a turn for the better, as well. I still hated my job, but I had found love. As much as Too Far to Care was a turning point for the 97s, it was for me, too. It was the last 97s album I would celebrate as a single girl. It was the last summer I would dance with my friends, right up front, at one of their shows without any accountability. It embodied letting go of that unstructured, unpredictable emotional roller coaster of a social life and trading it in for the newfound contentment of being a W-I-F-E.
Lucky for me, Hubby-to-Be was a fan, too. I converted him on our second date to a 97s show at Trees in Deep Ellum. Fast forward to August 2012, and Old 97s are touring in celebration of the 15th anniversary of Too Far to Care. And as part of our own 15th wedding anniversary celebration, Hubby and I will be at the House of Blues this Thursday night to reclaim a piece of that turbo-charged feeling one can only get from jumping up and down with a crowd of people who know all the words to every song. Much has happened over the last fifteen years, and I am not the same girl I was. But she taught me plenty. I’ve got my cowboy boots all shined up, and I want to be Too Far to Care with her one more time. P.S. If I haven't convinced you of their awesomeness, I dare you to watch this clip of Barrier Reef and not tap your toes and smile at the lyrics..."My name's Stewart Ransom Miller, I'm a serial lady killer. She said, 'I'm already dead,' that's exactly what she said." Brilliant. Hoping to convert some people over at Yeah Write today. 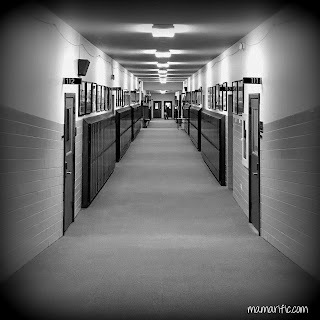 If you are a writer who blogs or a blogger who writes, please come join the fun! Too bad all the Deep Elm area developed after I left school. On subsequent visits back to Dallas, it looks like a great area. Your post captured that time in life when loves and the drama associated with them -- reigned supreme. For me that was my late teens/early 20s. Music was a big part of that. Deep Ellum was the place to be mid-90s, but it's gone downhill since, I'm afraid. Not sure much exists there anymore. Glad you could relate to the post! Thank you for this post! 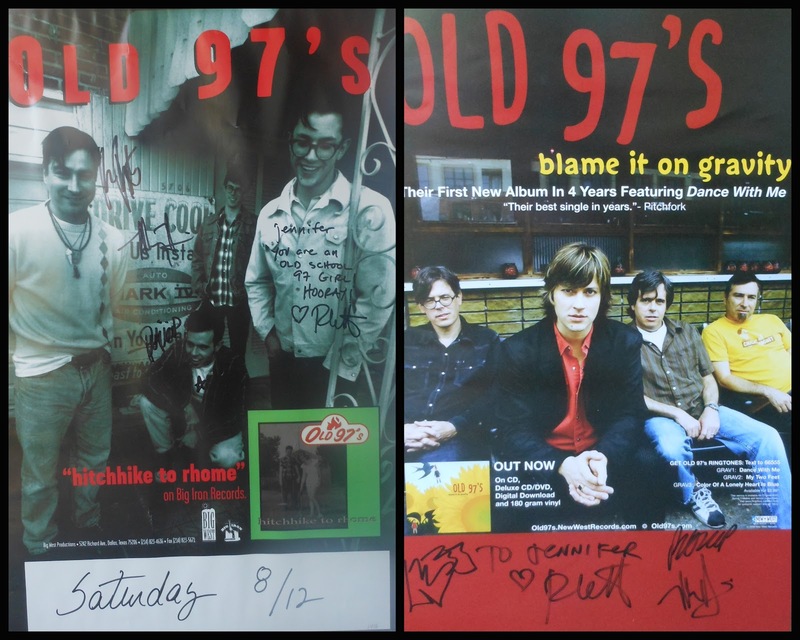 I am now in the best mood EVER thinking about the Old 97s. I saw them here in Chicago at Lounge Axe years ago. 504 was my favorite song FOR-EV-ER. Rhett is such a loveable old drunk. And Barleycorn on Henderson? Now I am all homesick. Seriously, my hands are shaking because this makes me so happy. Did you ever see Wilco? I like Old 97's better, but Wilco has such a following. Jeff Tweedy seems so .... unhygeinic. But lots of people love that. And I agree, Rhett trumps Jeff in a heartbeat. Yay!!! I love to find other people who like them! It's like a secret handshake! :) I hope you get to see them live soon. I must go listen to this band! I am sure that I will love 'em even though I've never heard 'em just because of your description! Go & listen...you won't be sorry! I hope! :) Date nights are the best. The 20s were insane for most people I know, for sure. How awesome that you get to see them with your husband all of these years after your second date. You will have the best time! I have the best time when I go out with Doc H and listen to bands. I'm sitting here scratching my head wondering why we don't do it more often? We all need more date nights like this! Date nights are the best, especially when we do something different...not just dinner or a movie! Old 97s/Rhett Miller remind me of scrubs. Sigh. I'm such a scrubs dork. I never watched Scrubs! I need to catch it on cable. Of course I know the Old 97s! I was very into the whole alt-country thing right when i graduated from college and was FLAILING around Raleigh, NC with a degree from a fancy-pants liberal arts college and no clue what to do with it. I chose to see bands and party. You sound like a smart woman to me! Glad to find another fan! I loved Rhett's leather pants! Glad to have been one of those lost souls up at the front dancing with you back then. The leather pants were the best! I remember you telling Rhett you were worried about his health, wearing those pants in the heat of summer. Ha, ha! Foreshadowing of your health care future!!! Thanks for being my BFF and getting me through all that craziness! That's so great you get to see them again, and all the great nostalgia it brings back for you. This post is making me want to re-introduce myself to alt. country. Wilco was to my college years what Call Me Maybe is to this summer. Four. Straight. Years. of every other song being Wilco no matter where I went or what I did. So I ran away from the genre. Nice post and dead on description of the often shiftless 20's. Thank you! I can see how it would be easy to OD on alt-country. Maybe your ears have had enough of a break! I have always preferred Old 97s over Wilco. I think their sound is more varied, so you don't get sick of it. happy anniversary! To you and to the band and to growing up and becoming who you are! Well, hello there, kindred musical soul! I'm more of a Wilco girl myself, though, having spent a good part of my twenties in Chicago. It's so great to have music in common with your spouse. Mine is in a band, and I am his biggest fan. Great post and happy anniversary! Thank you, Kathleen! Ooh, husband in a band...how very fun for you! What a fun way to celebrate 15 years! Yes, it was a blast! Oh, good, hope you guys like them! The concert was great! I played the music video because according to all of the comments (and your post, of course!) it is made of pure happiness, and it was good! My kids LOVED it and all three of them (6.5, 2.5, and 9 months) were dancing to it. Thanks for sharing! What a great post! Few things in this world make me happier than seeing a band play live, you totally took me there with you. 2 awesome discoveries at once, your blog and a new band to follow, thanks! Awesome, thanks for following! Hope you like the band! Sitting at the bar accross the street (the reserve) waiting for the show to start. Come over and i'll buy ya'll a beer! Hope you enjoyed that beer! I was still at home changing diapers. You MUST post about the concert, too! So much love can be felt in here. Great job! I could have written that post; except I "thought" I had found love. Seeing them tonight in Big D. Thanks for a great trip through memory lane. Glad you liked the post. Enjoy the show!! Where is my Snoopy Dance?